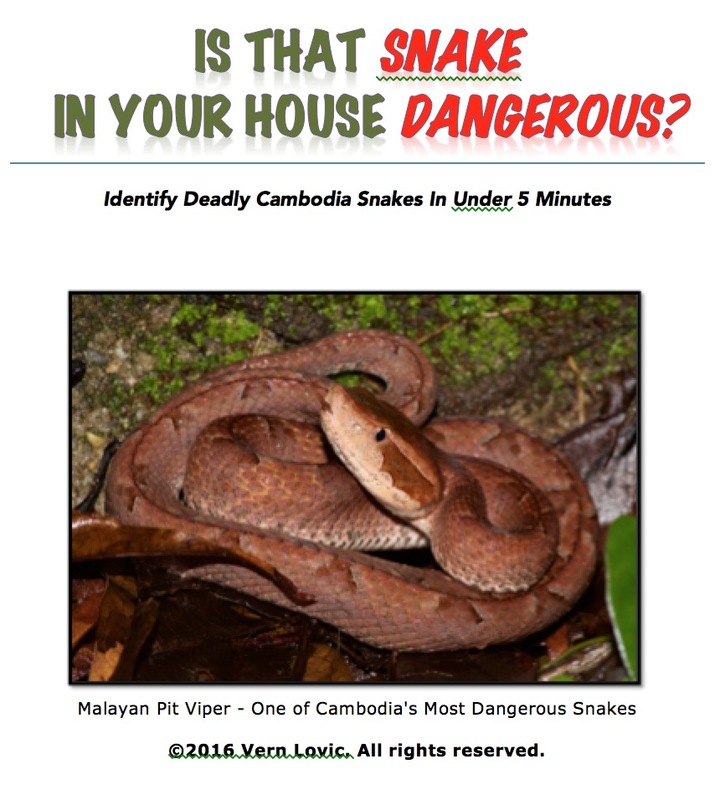 There are 17 venomous snakes (some say poisonous, but the correct term is venomous) to watch out for in the country of Cambodia, and we have all of these same snakes in Thailand as well. 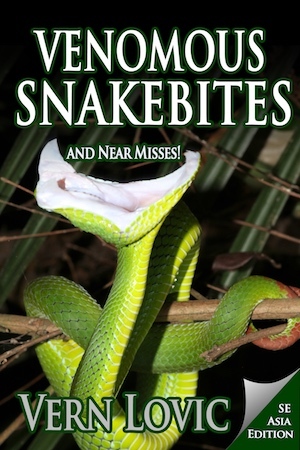 Stories about snakebite and very close calls. Interesting stories! Order PDF by email – see contact page. HERE. JUST $5 for Today – fair enough? Today in Sihanoukville, Cambodia on a dirt track I came across what I think was a keelback snake. It was about 35cm long, pinkish head with a curly black V running through the eye area to back of neck. Black and creamy white first half of upper body turning green for second half to tip of its tail – white belly. Head held about 4cm from the ground and it appeared to flatten its neck a little. A chicken had just tried to peck it but gave up. I observed it for about 3-4 minutes then it went under a wooden board. No doubt will stay there now as the sun was setting.